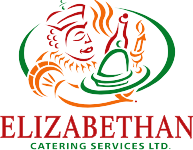 Tents - Elizabethan Catering Services Ltd.
A tent is a wonderful consideration for an outside event, such as a wedding. Some of the most spectacular and successful weddings we have catered, have been in a tent. Guests seemed to be more relaxed, and the atmosphere is fabulous. Ask us to book your tent, just as soon as you can. They are in high demand, at certain times of the year. Do not even think about holding a reception outside without a tent. We have included our checklist which we ask, as it does cover all points which need to be covered. Is the land level & free of obstructions i.e. trees, flower beds, fences, etc? Is the area large enough? Add 10′ to each tent dimension. i.e. a 20 x 40 tent needs 30 x 50 minimum to erect. Is the tent being set up on GRASS? Tarmac & Concrete needs drilling. What time of the year is event being held? All months may need heating in the evening, at extra charge. Discuss lighting and tent style. How close is tent being set up to house? Does customer expect to have covering from tent to house? Customer is responsible for this. Is there access for delivery vehicles? Will guests use the house washrooms? Make sure that you call ALBERTA ONE CALL for a ground inspection, 2 weeks prior to the event. Click Here for contact. The caterers will also need a tent set up adjacent to the main guest tent. Size of this tent to be discussed with sales associate.